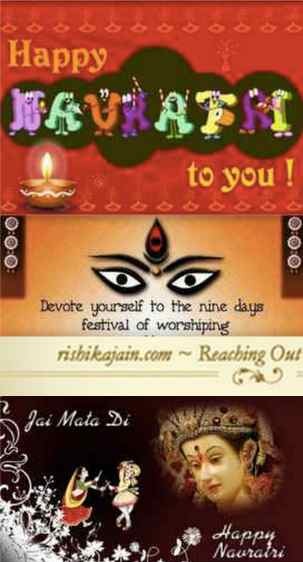 Home Festival WISH YOU A VERY HAPPY NAVRATRI !!!! WISH YOU A VERY HAPPY NAVRATRI !!!! Nine forms of Shakti are worshipped during the Navaratris. The Devis worshipped depend on the tradition of the region. Wish you a Happy Maha Shivtratri 2015! Auspicious Gudi Padwa Wishes & Greetings….